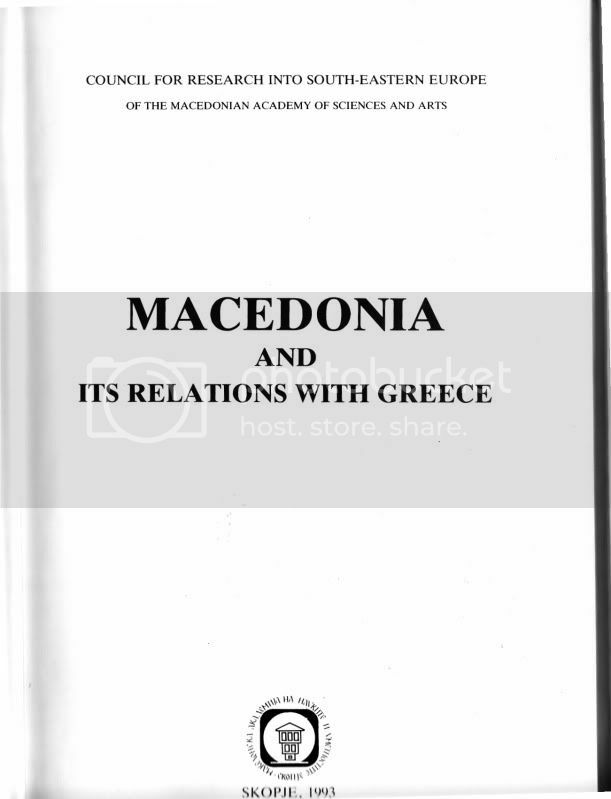 The following excerpts are taken from a propaganda booklet published by the self described “Macedonian Academy of Sciences and Arts”. The book is full of unsubstantiated claims, exaggerations and even falsifications. 1. 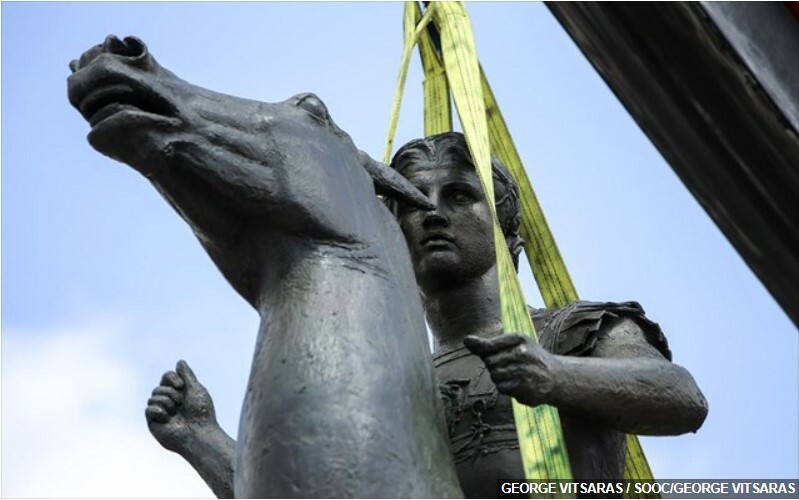 The descriptor “Macedonian” took on an ethnic significance only in the 19th century when a certain demographic of the population diverged from a populace that was regarded as BULGARIAN. 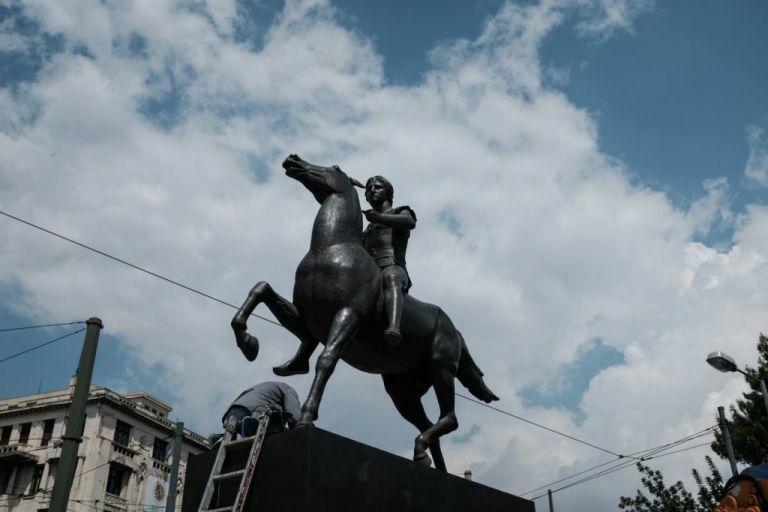 This statement contradicts the mythical historiography being promoted by the extremist Gruevski administration and the Maknuts lunatics in the diaspora who claim that “Macedonians” have resided in the region, while forming the vast majority, for centuries! 2. The geographic definition of “Macedonia” that the nationalists from FYROM espoused was only established during the 19th century. 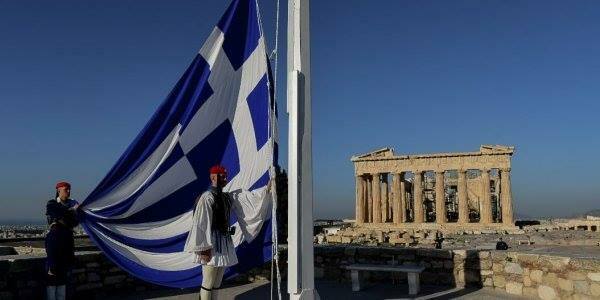 This is a far cry from the notion that “Macedonia” has existed as they would define it since ancient times. This is a group of their scholars telling us this. 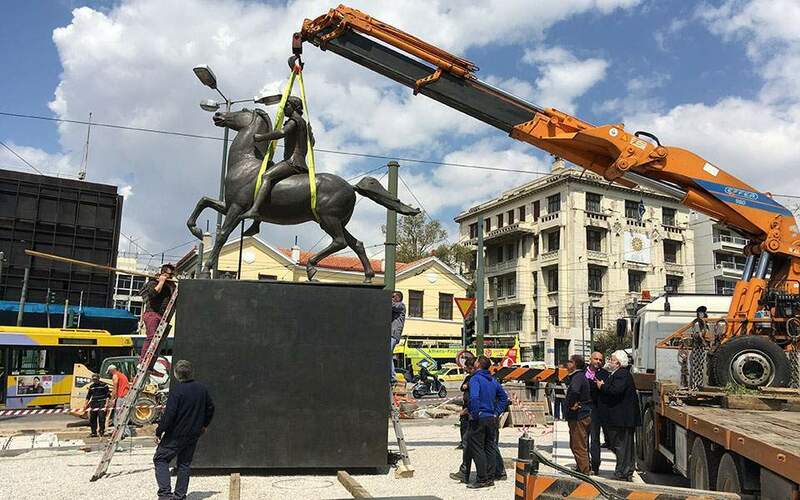 It is important to note how FYROM’s historiography has evolved. 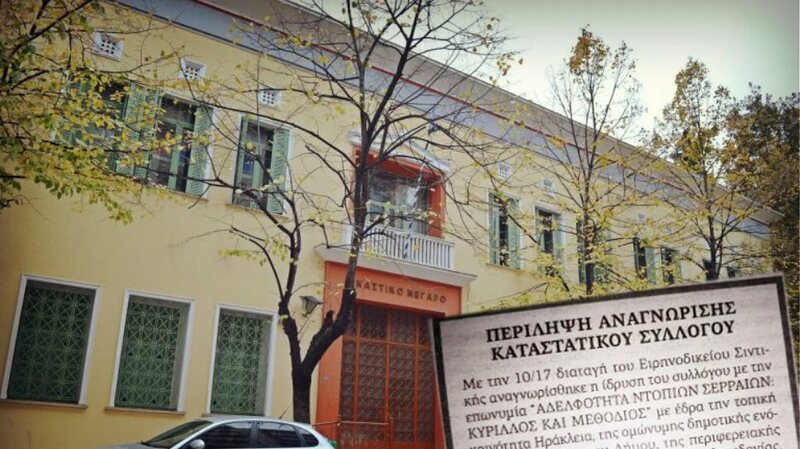 During the communist era the original doctors of FYROM’s historiography were not so bold as to link the Slavic populace of FYROM with ancient Macedonia. 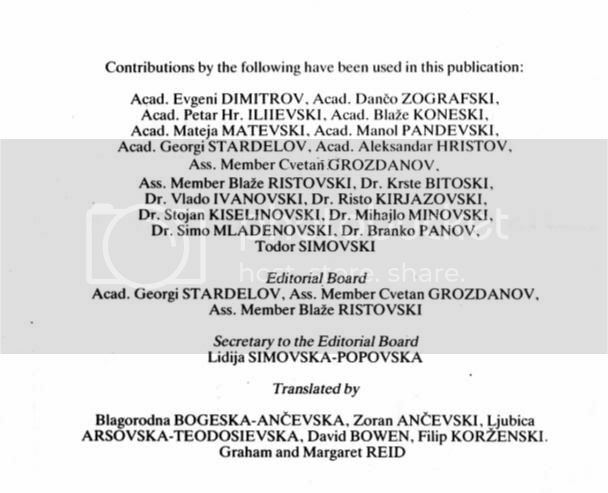 Their communist forefathers and the authors of this book, which was published less than 20 years ago, conceded that their population diverged from a population that was regarded as Bulgarian. Please rub this in their faces at every opportunity. This is their scholar’s version of their history from less than 20 years ago. The nutcases of today would call these scholars traitors for making such claims! 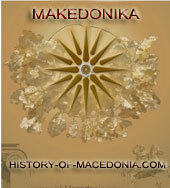 Note: This excerpt clearly states that their definition of “Macedonia” was only established in the 19th century. Prior to the 19th century, as many of us know, most of the geography of FYROM was not even included in depictions of Macedonia! My friends, this is their scholars telling us this! This state sponsored book was authored during a period in which the lunatics had not taken power yet. Make no mistake: the theories in this book are far fetched . Some theories are even based on falsifications. 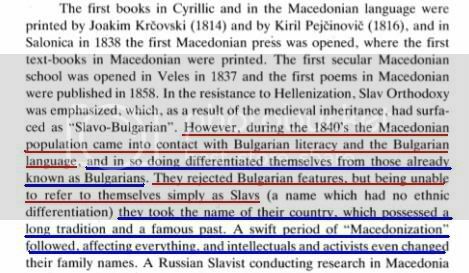 The point is that less than 20 years ago their own scholars were conceding that their population was undifferentiated from the Bulgarians prior to the middle of the 19th century. In reality, no significant population affiliated with their ethnic/national identity until the 20th century.